Hollywood has suffered yet another loss, with the death of Training Day actor Bill Paxton, who died this past weekend at the age of 61. From Bill Paxton’s movies to Bill Paxton’s cause of death, here is everything you need to know in our Bill Paxton wiki. 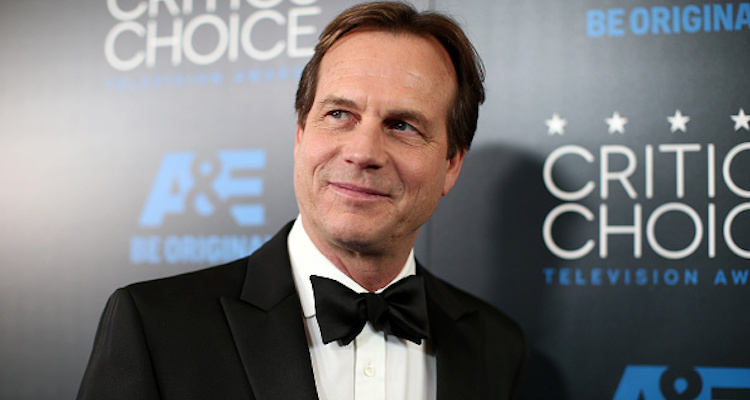 William “Bill” Paxton was born in Fort Worth, Texas in 1955. His father worked in the family’s lumber business. He was a supporter of the arts and his son’s aspiring career, and often took his children to movies and arts-related events. After graduating from Arlington Heights High School in 1973, Paxton spent his time studying at Richmond College in England and also with Stella Adler at New York University for two years. The Texas native left behind a successful career spanning decades and began his lengthy career in Hollywood with roles in Weird Science and The Terminator, before starring in larger performances. His series of smaller roles lead to much bigger projects, solidifying his place in the movie industry for decades to come. The late actor starred in movies such as Mighty Joe Young, Twister, Titanic, Apollo 13, and Aliens. He was also inspired by legendary actor, Clint Eastwood. At the time of his death, he was starring in the new CBC series, Training Day, where he played Detective Frank Rourke, a rogue cop. The show’s entire season wrapped filming in December, but it’s unknown what will happen to the show’s future now that’s Paxton has passed. Bill Paxton’s son, James had the chance to work with his father on Training Day before he died, and spoke with Entertainment Weekly about the experience. The Nightcrawler actor also guest-starred on the hit ABC show, Agents of S.H.I.E.L.D. as villain John Garrett in 2014. He also played Randall McCoy in the 2012 History Channel miniseries, Hatfields & McCoys about the legendary feuding families. The role earned him an Emmy nomination. Paxton earned four Golden Globe nominations, and in 1996 he won a SAG Award along with the rest of his Apollo 13 cast for their amazing performance. His net worth was $30.0 million. Many of his fans have been wondering about the details of Bill Paxton’s surgery, but unfortunately those details aren’t available as of yet. The cause of death was due to complications during heart surgery and a representative spoke out in a statement. Bill’s CBS and Warner Bros. family also put out a joint statement on the actor’s untimely passing. Bill Paxton’s wife was Louise Newbury, whom he married in 1987 and they had two children together —James (21) and Lydia (19). Paxton was previously married to Kelly Rowan from 1979 to 1980. There have been a series of deaths in Hollywood since last year and the numbers seem to be growing. During the In Memoriam tribute during last night’s Academy Awards, Friends alum Jennifer Aniston took the stage to remember the beloved Bill Paxton as one of Hollywood’s fallen stars. Bill Paxton was a great actor, loved by all his peers and will be missed. Our thoughts go out his family during this difficult time.